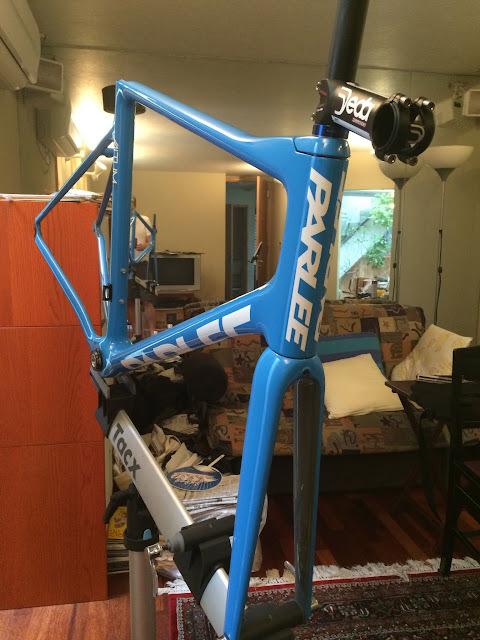 Parlee Cycles is known for producing high-end custom carbon bicycle frames, and based in Beverly, Massachusetts, just North along the coast outside of Boston. I test rode a Parlee bike last summer when I visited RGT Enterprises in Nagoya. Parlees offer a very smooth, comfortable ride, while also being incredibly responsive, balanced and precise. The word that comes to mind is "refined". 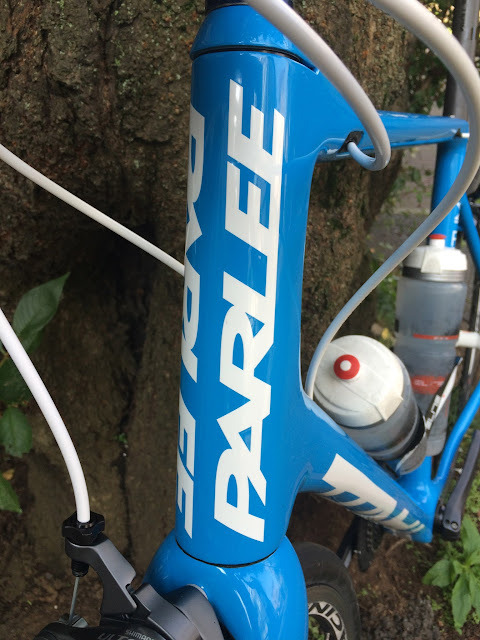 I did not order one at the time, as Parlee was just about to come out with an entirely new set of their production models. 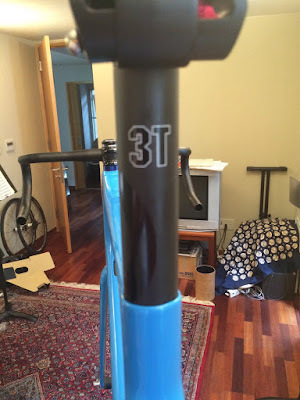 (Parlee is known for its custom carbon frames, but I am not yet ready -- and may never be -- to get a custom carbon framed bike!) I was told the new versions would have better clearance for 622x25 and even 622x28 tires, and that is indeed the case. Parlee rolled out its new Altum line of frames last August/September -- Eurobike, Interbike, etc. -- and I had to try one eventually. I ordered the least expensive, Altum R. It is an 810g frame/330g fork (in "M" size), a few grams more than the 750g/280g Altum, but still incredibly light and with the same type of ride as the bikes I tried last year. And the Altum R comes in either a beautiful sky blue or a light grey paint. I chose the sky blue. (Parlees can be custom painted before delivery, at an additional charge). How does the Parlee Altum R differ from my most recent carbon frame bike -- the Canyon "Shark", (which has been handed down to my son now, shipped off to Boston, MA)? Internal Cabling. Both frames have internal cabling, but the Altum R seems much better designed. First, Altum R has wider openings (with removable covers that snap back into place) at cable entrance/exits and under the bottom bracket shell area, so it is MUCH easier to install and replace cables. The Canyon had cable liners to help with the INITIAL installation, but those liners were not intended to remain in place, and so cable replacement will be quite difficult. Second, Altum R works with both mechanical and electronic shifting groupsets. Two different groups of the cabling guides/covers are provided. I installed a mechanical groupset -- Shimano Ultegra 6800, but I really love the Di2 on the Renovo and have been reading favorable reviews even from long distance riders/randonneurs. Certainly for a pure road/racing bike like the Altum R, I may want to change to Di2 at some point, and I can do so easily with the Altum R. After the flurry of activity this year, I really cannot see myself buying another bike in the near future once the Oregon randonneur is done .... groupset upgrades, on the other hand, might be possible. Would not have been practical with the other carbon frame. The black hard plastic cover is removable, like a similar one under the BB. Steerer and headset. The Altum R has a tapered fork but its steerer is 1 1/8 inch, so compatible with 99% of stems being sold for road bikes these days. The other had a 1 1/4 inch steerer, so very limited options. Similarly, the Altum R integrated headset is very simple and straightforward, whereas the other uses a somewhat non-standard design. 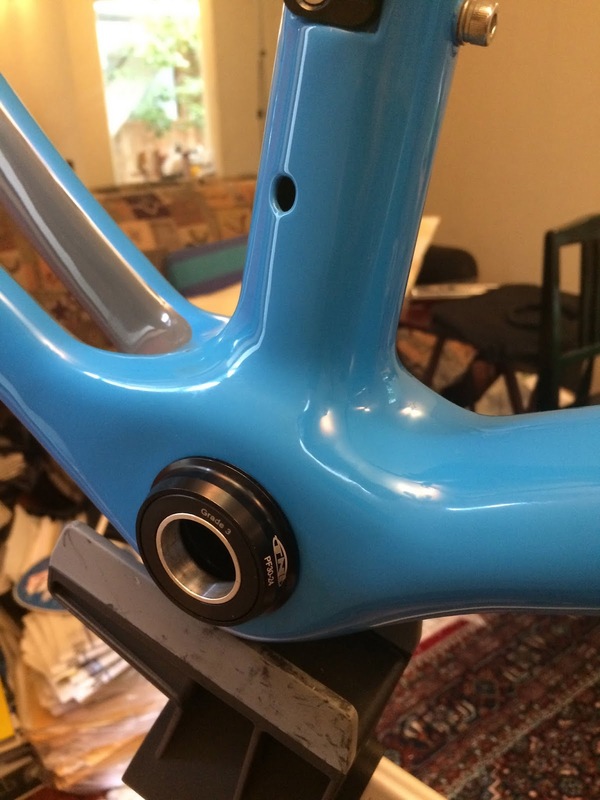 You can see the Altum R's headtube cap. 3 different sizes are available. that I have gotten a few rides in and confirm I want a bit more aggressive front end hand position. Time to cut the fork to correct length. Nice to have a tool that serves as a guide. Done. Why was I so nervous the first time I did this years ago? I was afraid I would destroy or damage a valuable piece of equipment. I still inevitably cut the steerer a bit too conservatively, leaving need for some spacers. 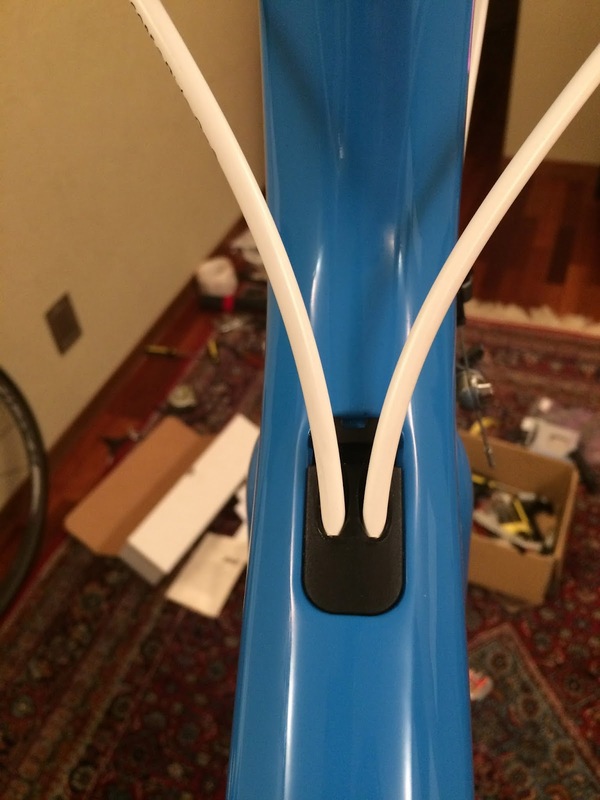 Seatpost clamp. The Altum R has a very nice integrated seatpost clamp. I have never seen one like this before. It works very nicely and looks durable. Finish and Precision. The Altum R tubing is, to the extent I can tell, nice and smooth on the inside as well as out. The 31.8mm seatpost fit beautifully in the seat tube -- perfect and "snug as a bug". Everything fit beautifully in this build-- press-fit BB, headset bearings, headtube top cap, seat post, etc. I got a new tool for installing the pressfit BB, and added a little Effetto Mariposa "carbo grip" before setting the pressfit BB. Perfect, snug fit. Smooth inside. I am sure there are lots of other features I did not yet even notice. You can find more on the Parlee site. As mentioned, I built the bike up with a Shimano 11-speed Ultegra (6800) groupset. Nothing unusual here -- exactly the same as I had used a year ago on the Canyon. I did add a few extras. Most important, I decided to try some beautiful leather bar tape. I first places a layer of gel pads on the bars, then some of the Dipell bar tape now being imported by RGT/David Marx. This product uses high end "sports leather" -- the same as you would find in custom shoes ordered by a top football (i.e. soccer) star. The tape feels great -- comfortable, grippy, supple and with plenty of padding. And my bars now smell a lot like a leather jacket -- a great aroma. I am sorry this blog does not offer a "scratch and sniff" feature! It is really a nice smell. 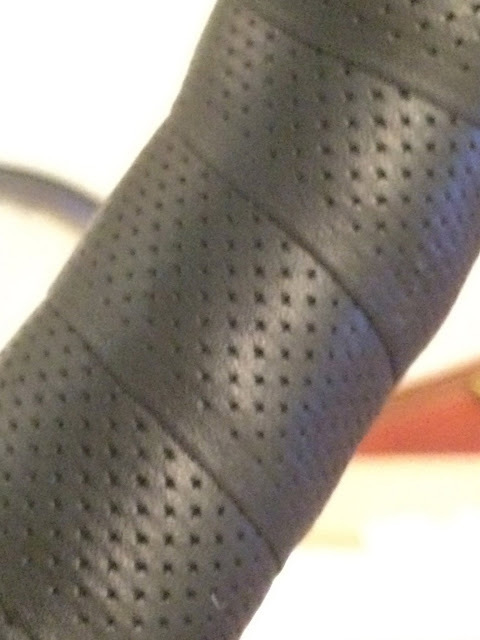 David Marx says this kind of leather bartape will last a LONG time, and can be cleaned and reapplied using new double sided backing tape if it needs to be rewound. Unlike other leather bartapes, this one has only a single strip of cowhide on each roll of tape, so there is no "weak point". I cannot help thinking that white bartape would have been great with this bike ... but black will look "like new" much longer. I added some Effetto Mariposa "Shelter" strips to protect the frame and paint job on (1) underside of the downtube, (2) drive-side chain stay, and (3) where the rear brake outer cable might rub against the seat tube. Shelter is a shock-absorbing plastic adhesive-backed padding that has already been sold for MTB use for some time. I got a roll of the MTB version awhile back. It is a bit heavy and thick. The "road" version is much thinner and lighter. I barely can notice that it is there, but it should offer protection from at least minor dings. I hope the Parlee Altum R will be a "lifetime" carbon frame, not a "four year" one like my first three - Giant TCR, Cervelo R3-SL, Canyon Ultimate CF. I am not sure the "Shelter" will guarantee that, since I can still knock the bike over, crash it, or have a pebble fly up and strike it in an unusual place. But at least I have tried to improve the odds a bit. 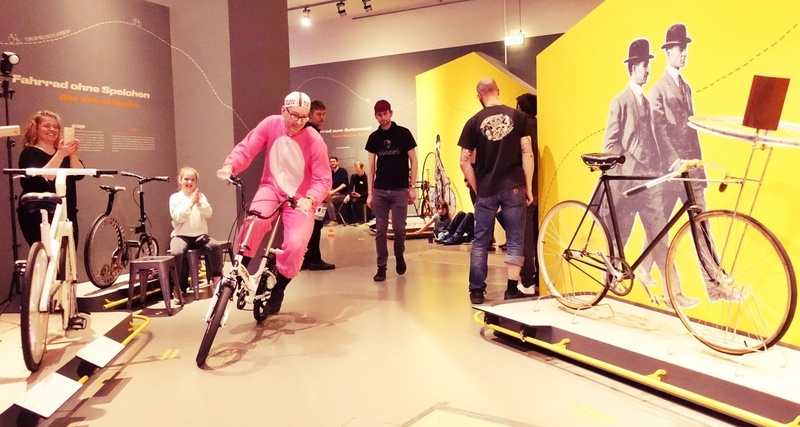 How, you might ask, can I manage to add this bike to my growing collection? Where can I fit them all? Well, as noted about, I sent one bike off to my son in the U.S. for his birthday last month. Another, the Bianchi Pista Concept 2006, has been gathering dust for quite awhile now, so it is going to go on the TCC classifieds soon after my summer travels. And the plan is that the Oregon randonneur bike will, well, stay in Oregon for the time being. As I took the bike out for its first real ride on Sunday morning, I had only one problem. I worked to try and "dial in" the position, moving the seat both up and forward twice. The 3T Ionic 25 Team Stealth post that came with the bike has an interesting "patent pending" exclusive "DiffLock" clamp design, with bolts from both sides. The second time I tried to adjust the position and tighten the clamp (with very low torque/leverage), the bolt stripped and would not tighten all the way. Already far from home up the river, I decided to ride with a slightly loose seat to Y's or Nalshima Tachikawa and get a replacement bolt ASAP. The seat slid back to the far end of the rails quite quickly, but at least did not come off. When I got off the bike at a convenience store soon after to check ... the entire left clamp and bolt were gone. I guess it was stripped so badly that not only would it not tighten, but it fell off. I retraced the route looking for it, but no luck. 3T - 25 Ionic team stealth -- he way it should look from the side. 3T 25 Ionic team stealth -- with missing bolt and clamp/cover. Instead of getting a new bolt, at Y's I got a TNI aluminum seatpost -- the lightest weight 350mm 31.6mm aluminum post I could find, and installed that instead. At least it has an easy to use clamp. 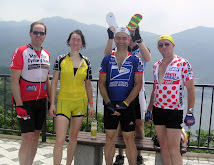 The last time I used an aluminum 31.6mm post, on the Ti Travel Bike, I found the ride very stiff and harsh. But on the Parlee, even with an aluminum post the ride is great. Confident, but not harsh. And great to have the seat secured in one place! The rest of my inaugural ride went without a hitch. This is a beautiful bike, it handles effortlessly, and Sky Blue is what I will ride when I want to remember the joy of riding a road bike -- when the sky is blue, and when I want to go fast and travel light. Nice addition, David! Will it travel with you to Italy? It would be the ideal bike for the Bolzano part of the trip as it is great for climbing ... but alas, I can only bring one bike, and I need the Ti Travel bike for PBP, and also for its small travel size and other features. I will practice installing/removing the headset a few times before the trip so that I can make sure when it is reassembled in Italy (and again in France) it is the great descending bike that it should be. Nice bike and beautiful color. Glad to see (or better, 'have but not see') some Shelter Road on it.